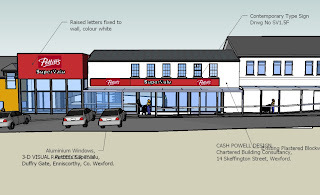 We are currently involved in the redesign and developement of the Pettitt's SuperValu Store in Enniscorthy. 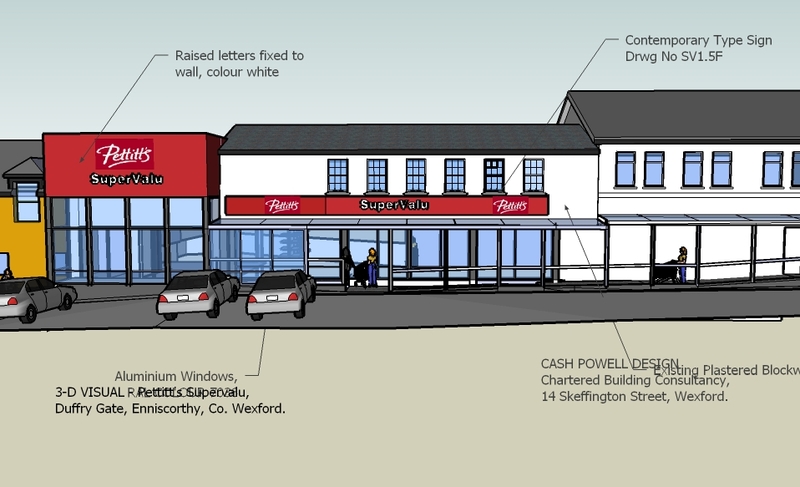 The client wanted to expand the shop floor and make the frontage more modern and visible. Part of the adjoining pub has been incorporated into the Supermarket and a new glass box acts as a porch to the shop and gives articulation to the facade. The rest of the facade is being updated with a new cantilevered glass adn stainless steel porch. The works are being carried out while the shop is trading - another challenging project! 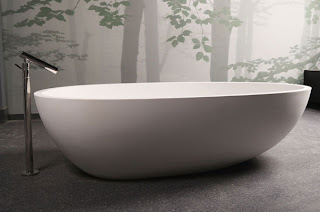 Blu Bathrooms is a state of the art showroom with some of the most prestigious brand names in sanitary ware on show. The client brief was very specific - the end product needed to show potential customers how varied and stylish the bathroom area can be. It was imperative to create a space that reflected the level of quality fittings on show. We worked closely with the client to select the stock ranges and to choose complimentary brassware. Designers such as Phillippe Strarck, Norman Foster, Stefano Goivannoni for Alessi and Patricia Urquoila are all featured in the Showroom. We sourced fabulous wallpapers to highlight the clean lines of the ranges and commissioned unique digital images. A central circular unit with dark grey velvet wall paper with amber swirl motifs on the interior acts as a foil for a stunning circular bath. A variety of basins are featured on the exterior of the circle. A light, bright glass cube was created at the corner of the building and the existing building was given a make over to visually link in to the new section. The glass cube is now a professional looking entrance atrium with stainless steel stairs leading to the upper floors. 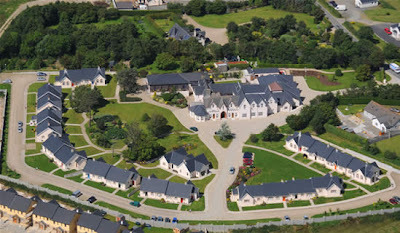 The commercial interior design was also undertaken by Cash Powell Design.